When you set your science fiction diorama on another planet, no-one can accuse you of a lack of realism, because no-one has actually seen the planet. Freed from the constraints of verisimilitude, you can set your sci-fi figure/car/spaceship in a field of purple grass and trees that have three trunks and fuchsia coloured bark, if that’s what you want to do. You’re limited only by your imagination. 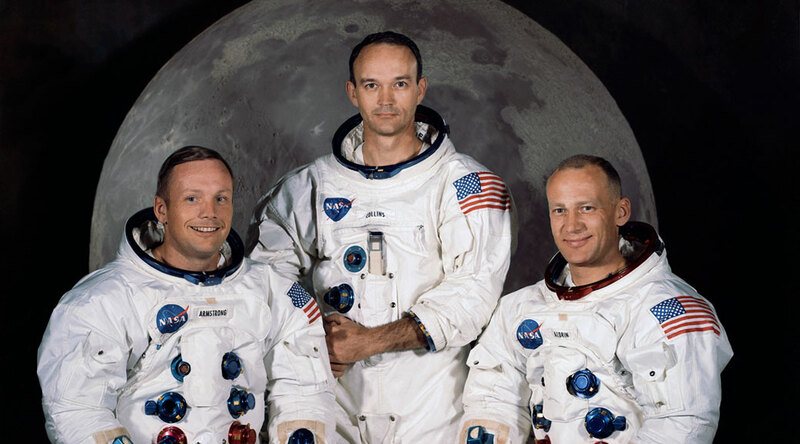 The only extraterrestrial setting that wouldn’t afford you this creative freedom is the moon (in the unlikely event that the person giving the critique is one of the gentlemen pictured above). Barring this, your diorama can be a blank slate. When designing my Eagle Crash diorama, I planned to set the scene on an earth-type planet. But rather than dressing the scene with oaks, conifers or other earth-type trees, I decided to create my own. Fans of Space: 1999 will recall that after the moon was torn out of earth’s orbit, the denizens of Moonbase Alpha never saw earth again. But they visited many interesting planets, some of which looked like earth and some of which didn’t. So I could dress my diorama however I wanted and still be true to the premise of the show. This was the perfect opportunity to try my hand at creating a tree from scratch, using the “wound wire” method described in Advanced Terrain Modelling by Richard Windrow. What I ended up with looked like a tree, but not one that you’d find anywhere on earth. And it didn’t matter, because on this particular planet where the Eagle had crash landed, the trees just happen to look exactly like the one I made by winding wire together. And said tree is now an integral part of the finished scene, with no further explanation necessary. 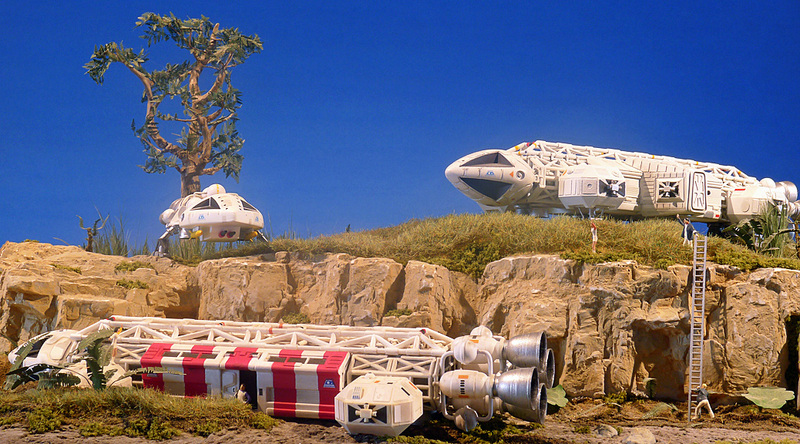 I revisited the Eagle Crash diorama a few years later and added a third ship to the scene. I call it the Eagle Gunship, and in case you’re wondering, it didn’t appear in any episodes of Space: 1999. But I enjoy kitbashing models and had some extra Eagle parts in the spares box, so I decided to create my own variant of the Eagle. And again, I was able to do this because of the “fiction” in science fiction.